Looking for beautiful wooden gift with a quotes for your 5th wedding anniversary? 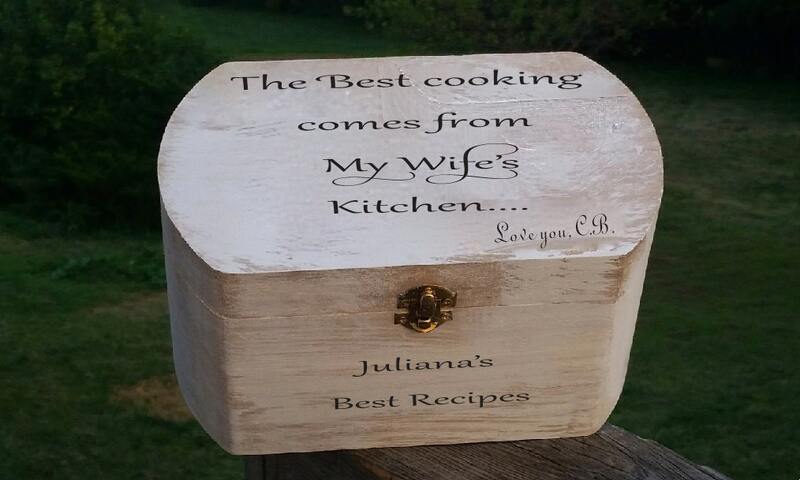 This beautiful crafted and engraved wooden recipes box will be a beautiful reminder of how much you love her & her cooking. This beautiful quote can be engraved on the lid or we could custom engrave the lid for you. A personal message can be engraved on the back as per your request. Thank you for browsing FineGiftsEngraving!